Modern society seems to be obsessed with the way people look, particularly whether they’re fat, thin or in between. So today I’m going to do a bit of myth-busting about being fat, being thin, being fit and being healthy. When considering health we need to look at two types of body fat. The first is subcutaneous (pronounced sub-kew-TAY-nee-us) fat, which is the fat that lies just beneath the surface of the skin – that’s what subcutaneous means, beneath the skin. The more of this you have, the fatter you look. The second type of body fat is called visceral (pronounced VISS-er-al) fat and it pads the spaces between our organs. The more visceral fat you have, the higher your risk of developing health problems like high blood pressure, heart disease, high cholesterol and diabetes. But visceral fat can’t be seen from the outside and so it’s just as much of a problem for thin people as for fat people. This is because visceral fat is linked to fitness, not fatness. Research has shown over and over that someone who is obese but fit will have far less visceral fat than someone who is thin but unfit. And it is possible to be fat and fit, contrary to popular belief. From wrestling to rugby, baseball to cycling, there are many athletes who are fat but metabolically healthy (they have low blood pressure, low cholesterol and so on). There’s even a website (Too Fat To Run?) 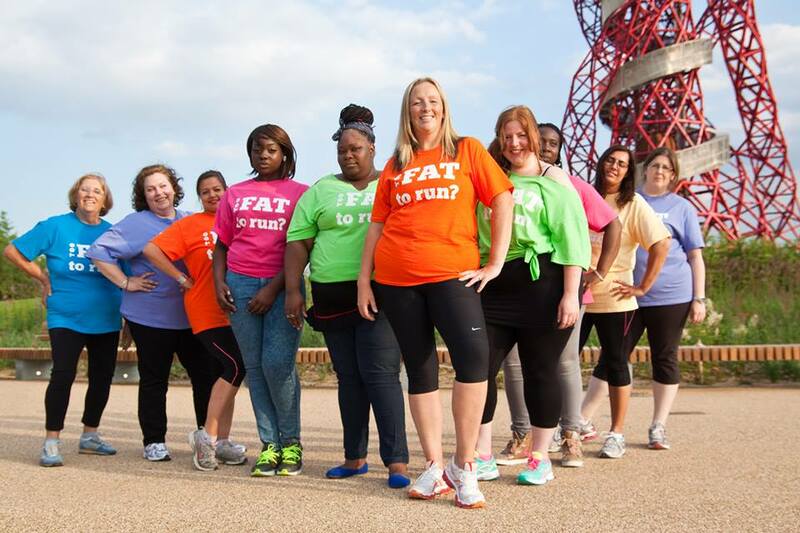 founded by an obese marathon runner who encourages fat women to run. This is very simplistic and often unhelpful advice. Firstly, how do you decide what ‘less’ is? Do you weigh your food and then reduce the weight of each meal? 100g of syrup may weigh the same as 100g of apples but they’re very different. Do you count the calories? Not all calories are equal – you could eat your entire day’s calorie allowance in sweets but it wouldn’t be very good for you. Do you work out the amount of carbohydrate/fat/whatever and then cut back? Exclusion diets don’t work for everyone and can sometimes do more harm than good. In addition, eating less is unlikely to have much effect if your diet is an unhealthy one; what a healthy diet actually is can vary from person to person and depends on many factors. As for moving more, we’ve already talked about how you can be fit and exercise a lot but still be fat. There’s also the fact that ‘moving more’ isn’t always possible for everyone. Some people have limited mobility, and in fact this may be one of the underlying reasons for their obesity. Scientists agree that there’s no one cause of obesity, but that’s it’s most like due to a combination of physiological (relating to the body), psychological (relating to the mind) and environmental factors. So if there’s no one simple cause, why would there be one simple solution? When it comes to how our bodies look, thin people are often under just as much scrutiny as fat people. This is because of the misconception that in order to be very thin you must have some kind of eating disorder. In fact many thin people eat and exercise healthily but have a high metabolism so they find it difficult to gain weight. Just because someone is thin, that’s no reason to assume that they’re anorexic, bulimic or suffering from any other eating disorder. We should also bear in mind that ‘normal’ looking people can have eating disorders, as can fat people. Metabolism is what we call the process that converts the food we eat into energy for our bodies to use; the faster your metabolism, the quicker your body uses up the energy. Some people can eat huge amounts of food but because they have a high/fast metabolism they just can’t get fat. Having a high metabolism is usually genetic but it can also be due to medical conditions like hyperthyroidism, a hormonal imbalance. It can have a serious effect on the body, sometimes causing an irregular heartbeat and problems with the amount of sugar in the blood. 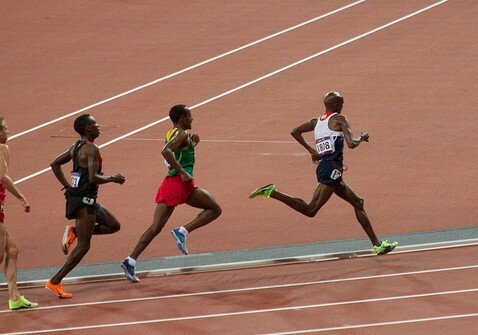 British Olympian Mo Farrah, seen here leading the men’s 10,000m race at the London Olympics, is thin but extremely fit and healthy. (Image: Ian Patterson). The idea that a generation of fat children will have a shorter life expectancy than their parents comes from scientific studies that have since been discredited as having many flaws, but the idea has remained in public consciousness. In fact, further studies have shown that life expectancy is less to do with how fat someone is and more to do with how fit they are. Fat people who are metabolically healthy (those who exercise regularly and have low blood pressure, low cholesterol etc) have the same risk of dying from cancer or heart disease as fit people with a ‘normal’ weight. In contrast, thin people who rarely exercise and eat poorly are at risk of dying prematurely. Of course, life expectancy is only a prediction and can’t factor in things like being hit by a bus or falling down the stairs! Please note: I am not saying that being fat is healthy or desirable, any more than I’m saying that being thin is healthy or desirable. Instead we need to stop making assumptions about other people and focus more on our own health and fitness.